1. 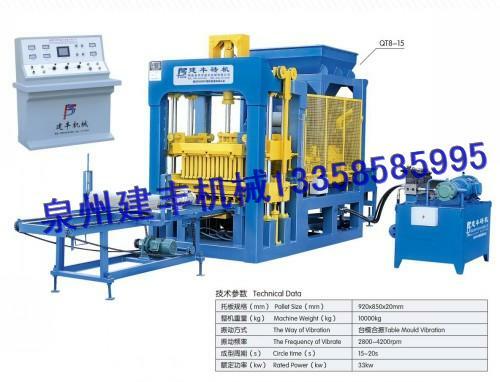 The Mould box of this machine adopts vertical orientation vibratory pressure moulding, short in molding cycle, high in efficiency, and the blocks are good density, high intensity, accuracy in dimension, and attractive in appearance. 2. 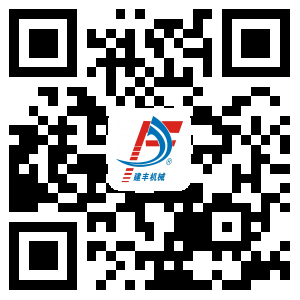 Hydraulic system adopts hydraulic parts imported from Japan, make it superior in quality, which are in good quality, put an end to leak, stably in working and keep low accident rate. 3. Electrical control components adopts international brands of PLC, with touching screener, frequency converter, low voltage components and so on, it is superior in quality, reliable, convenient to maintain and longevity of service. 4. The whole frame of machine adopts high strength steel to manufacture, apply international advanced welding technology, which make the machine firm and shock resistant. 5. Vibrational force can be adjusted optional, so as to obtain optimum amplitude. 6. Adopts unique and fast material-feeding equipment, prevent the humid material from feeding unevenly, make the material-feeding evenly, rapidly, steady, short in moulding cycle, superior in quality. 7. The machine is compact in structure, stable in performance, convenient to operate and maintain. The investment of this project occupies small land, with little investment but benefit is high, suitable for large, medium or small building materials enterprise to invest.